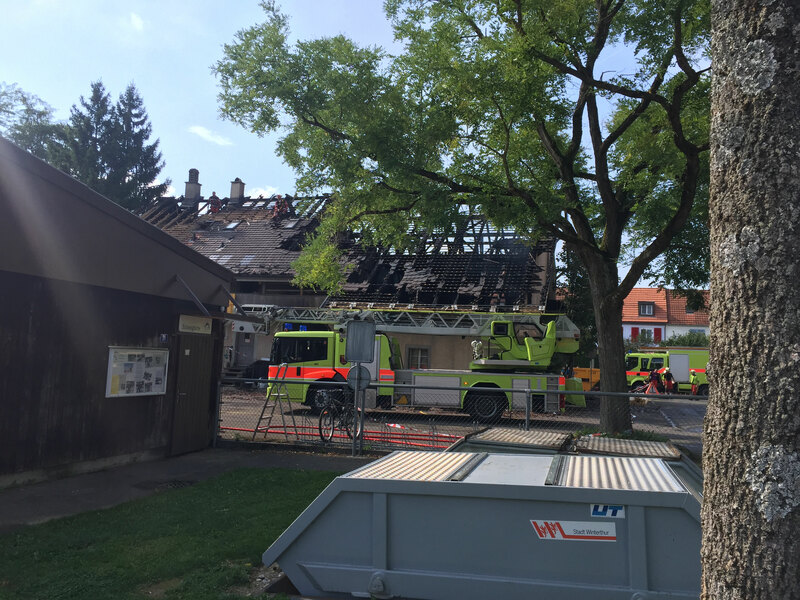 At approximately 10am on Thursday 17th August 2017, a fire broke out in the barn at Deutweg that housed the WCC's kit room. 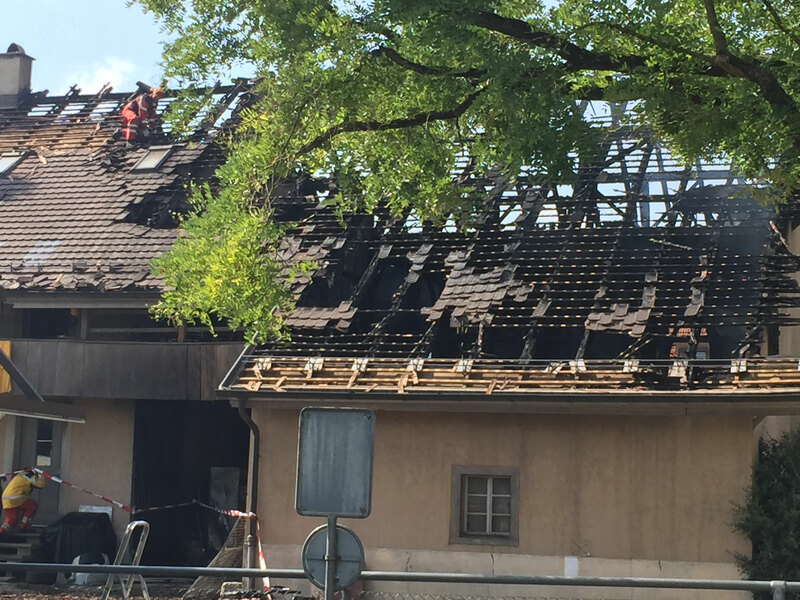 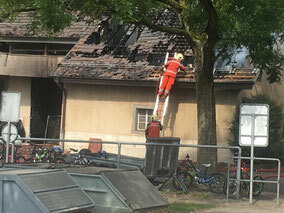 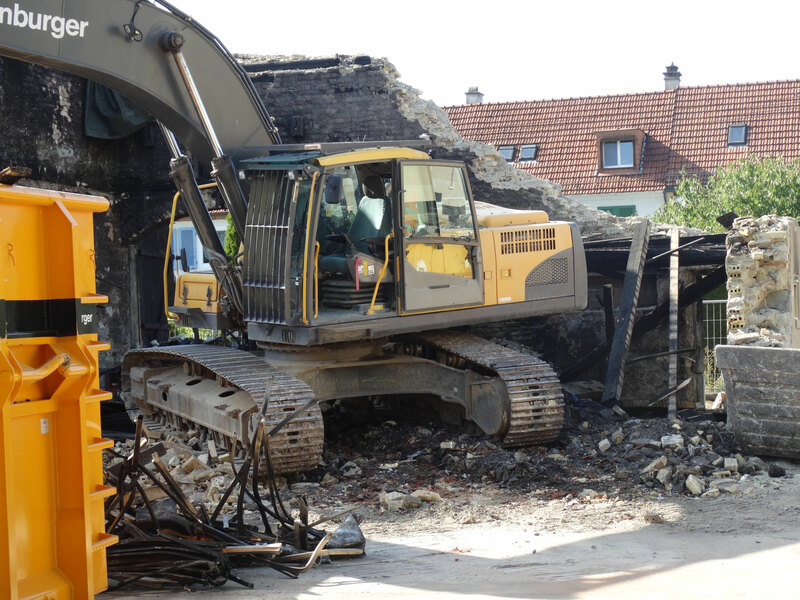 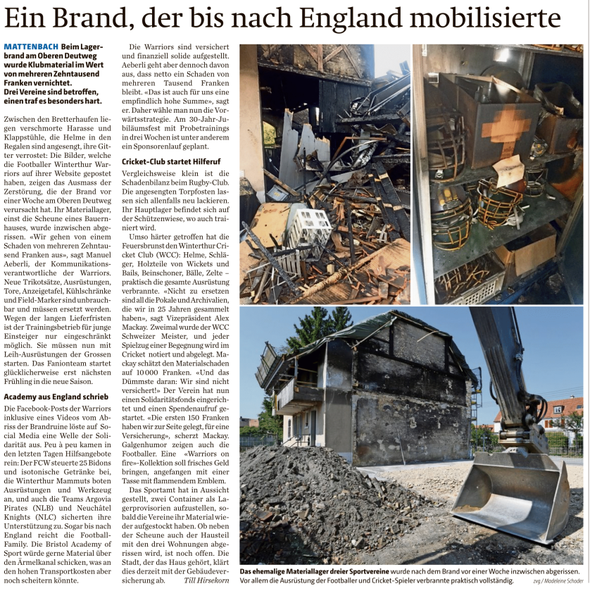 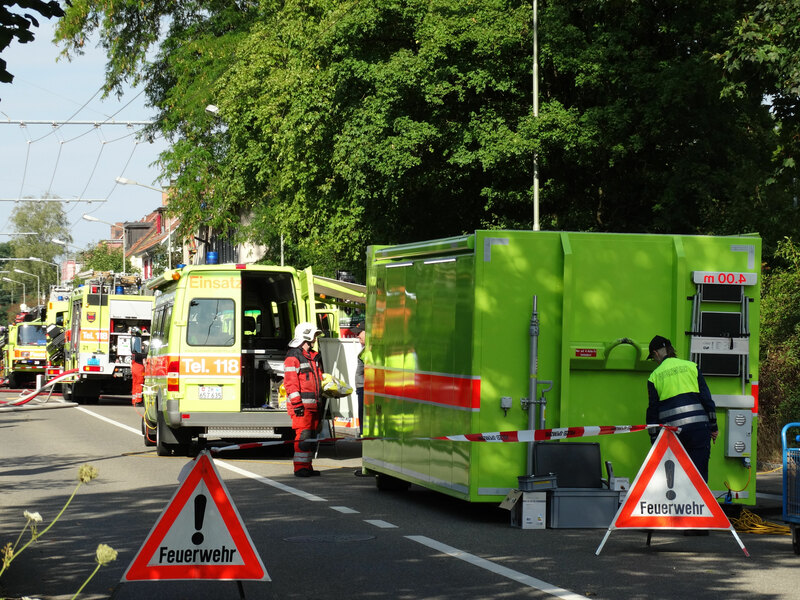 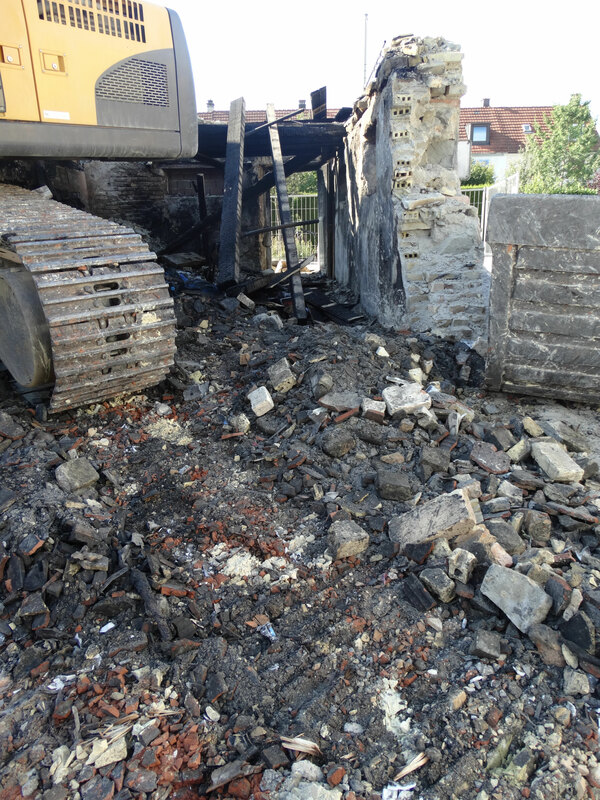 The Winterthur fire brigade were unable to stop the fire from burning down the barn containing equipment belonging to the Sportamt and the the kit rooms for the Athletics Club, American Footballers Winterthur Warriors, Rugby Club Winterthur and the Winterthur Cricket Club. Four fire-fighters were reportedly lightly burned but treated by medical staff at the scene. The family house immediately adjacent to the barn suffered serious damage to the roof. The Landbote reported that a pregnant mother and her small child were able to flee the attic flat in the neighbouring building. 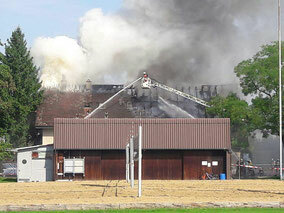 As reported on 20Minuten smoke from the fire filled the skies around Deutweg, causing damage of more than Fr 100'000. 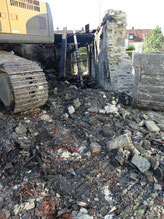 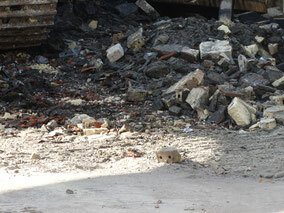 The damage to WCC property alone is estimated to be over Fr 10'000. 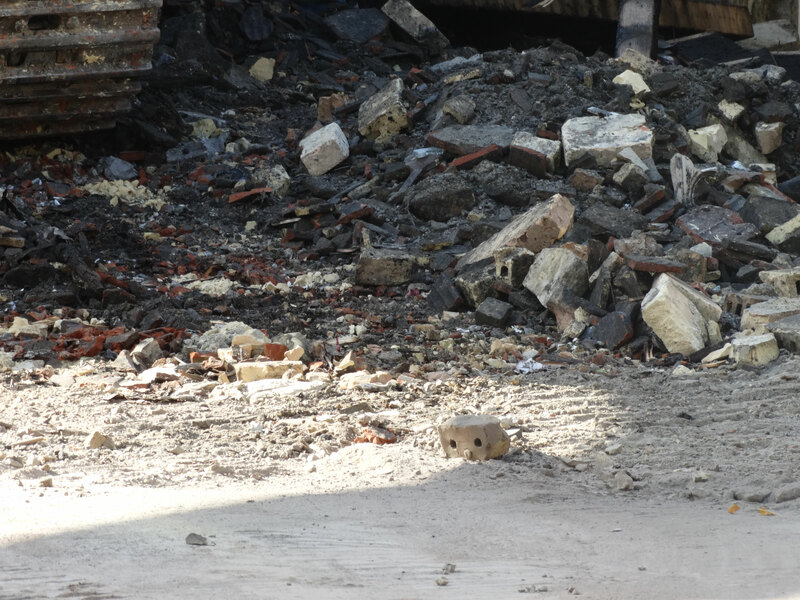 Experts are expected on Friday to look at the fire and try to ascertain the cause of the fire. 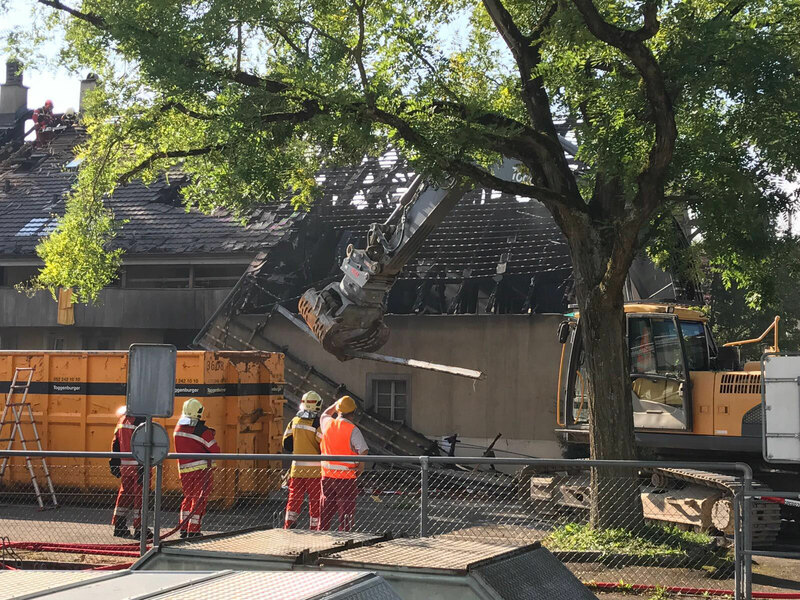 Vice-President Alex Mackay was contacted by the KAPO on Thursday afternoon and informed of the incident and has informed the committee of this tragedy. "The club lost all the cricket equipment, pads, bats, helmets, wickets, balls, everything, we also lost the tents, benches & chairs, etc.. 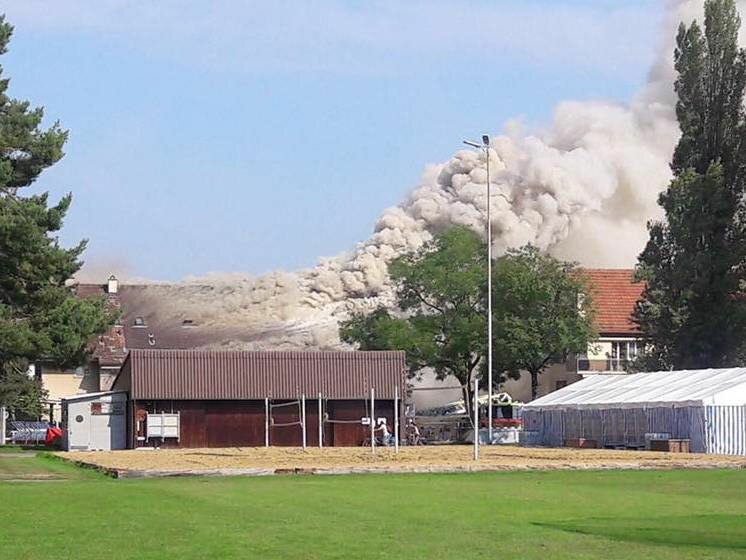 But they can all be replaced, we can't replace the written records that go back to 1982 and the trophies won over the years". 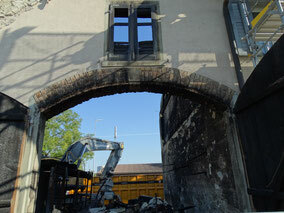 A comprehensive list is being compiled of the the contents and the loss to the club. 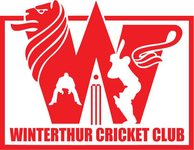 Winterthur were not alone in their loss as Zurich cricket & Zurich Sapphires also stored kit and infrastructure in the kit room. 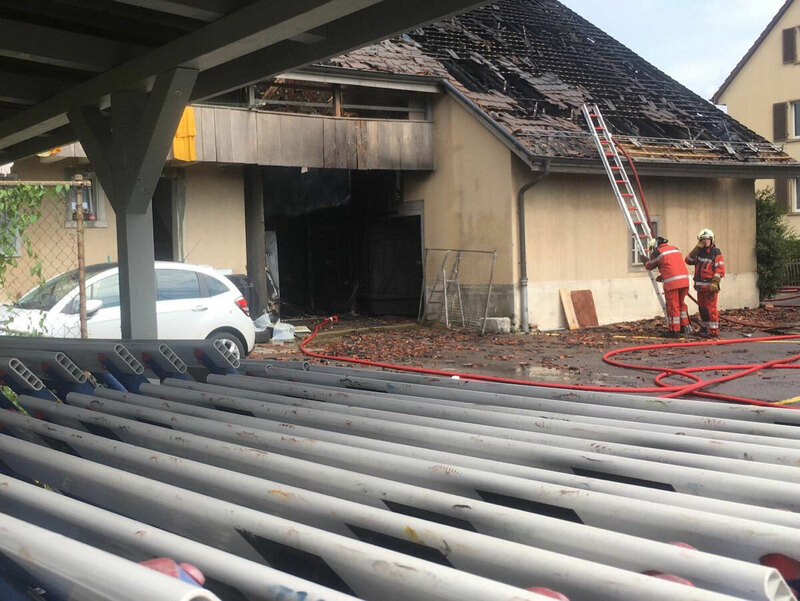 WCC treasurer Jiten Patel and vice-President Alex Mackay are vertifying whether or not the club was covered by their own insurance or whether the club can claim on the building insurance of the owners of the building. 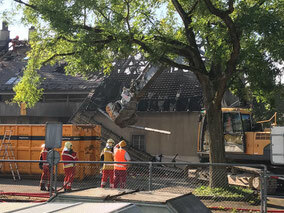 As a result of the extensive damage, the building is to be demolished. In addition to 20 Minuten Online and Der Landbote Online, Der Landbote produced this article, published on Saturday 26th August 2017.